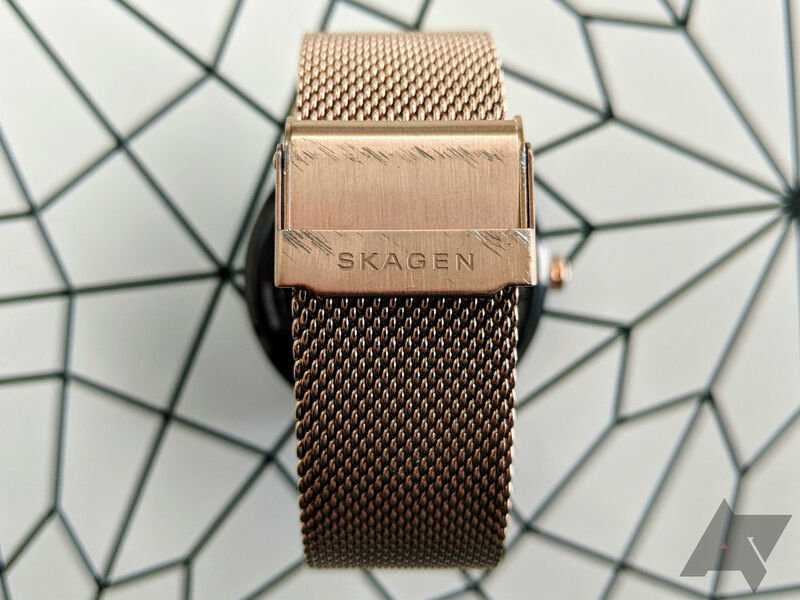 The Skagen Falster falls under the Fossil umbrella and, ever since its announcement at CES, has been regarded as one of the sleekest Wear watches to date. 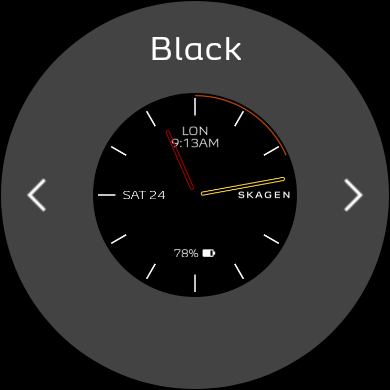 In person, it's really striking with its minimal design, shiny steel, and black case. However, like many of Fossil's other watches, it suffers from a severe lack of hardware features, the most crucial being a terrible battery life. 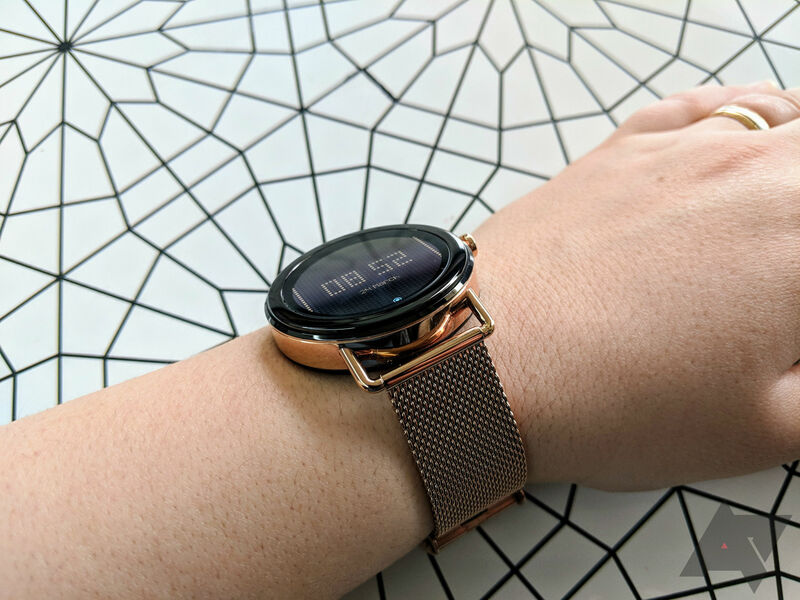 If looks are your first and foremost requirement, the Falster will not falter, but if you need a bit more substance behind your smartwatch, this is clearly not meant for you. As for me, I'm pretty much smitten every day... until the battery runs dry at 8pm and then I'm furious. Design The Falster looks so good. I've been wearing it daily for the past few weeks and it fits well with my style at work, the gym, and during social events. Responsiveness Wear OS has come a long way since my Huawei Watch. Screen transitions are smooth, taps are quickly registered, and actions don't lag on the Falster. Removable bands It may not look like it, but the Falster's bands can be easily replaced with any 20mm ones. 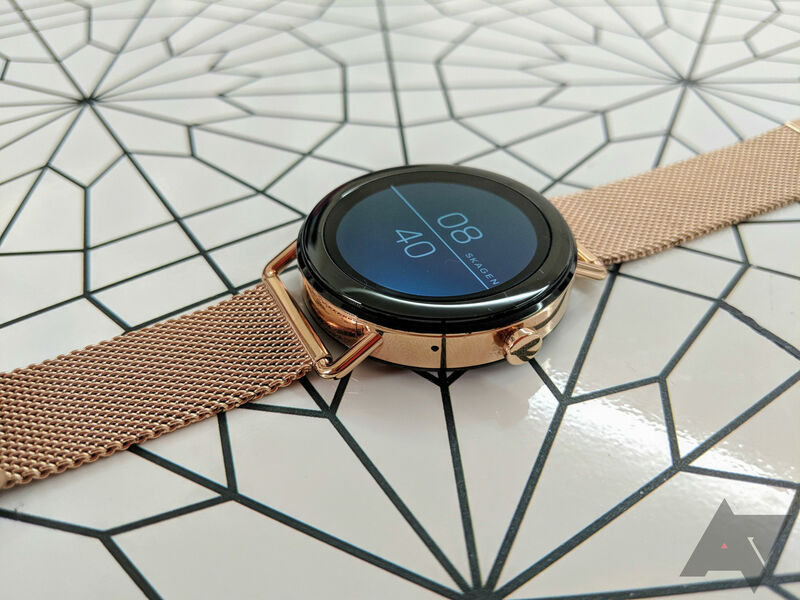 Wear OS It's still the best suited smartwarch OS to complement an Android phone. Charger It's not Qi wireless, but it's magnetic and there are no pins to align. Battery life I can barely eek out one work day out of the Falster. If I'm coming home late at night, the battery is likely to be dead before then. 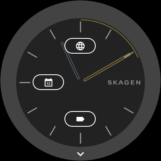 Preloaded watch faces Skagen was generous enough to include six of them. And most of them look terrible. No GPS, heart rate, or NFC While the GPS and heart rate absences are understandable since this watch isn't meant for exercise, the lack of NFC for mobile payments is less forgivable. No rotating dial You have to use your grubby fingers to navigate the watch, there's no rotating dial or bezel. Wear OS, again It's better now, but there are still issues plaguing the platform and a potential for improvement that isn't met yet. Price The Falster starts at $275, which is no cheap price to pay for a smartwatch that lacks several hardware features. When it was announced, the Falster didn't grab my attention at all and I started questioning the enthusiasm I saw around its design. It wasn't until I held one in my hands that I changed my opinion. Images don't do it justice: it really is a gorgeous watch. The design is elegant and while I was not a fan of the rose gold color of this review unit, it grew on me over time. 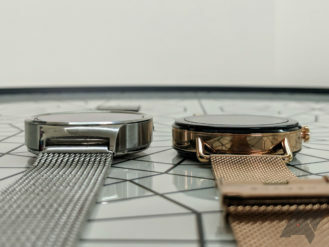 I would still prefer the full silver one with the mesh band though, as it can be much more versatile, and third-party bands should be easier to match than with the rose gold. 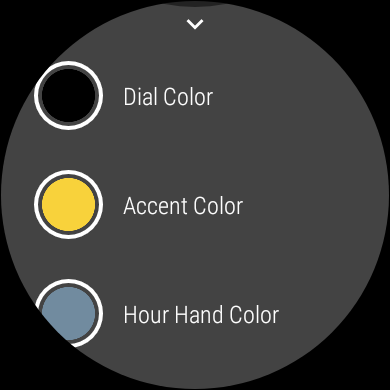 The face is surrounded by a thick glossy black bezel on the top for all color variants. 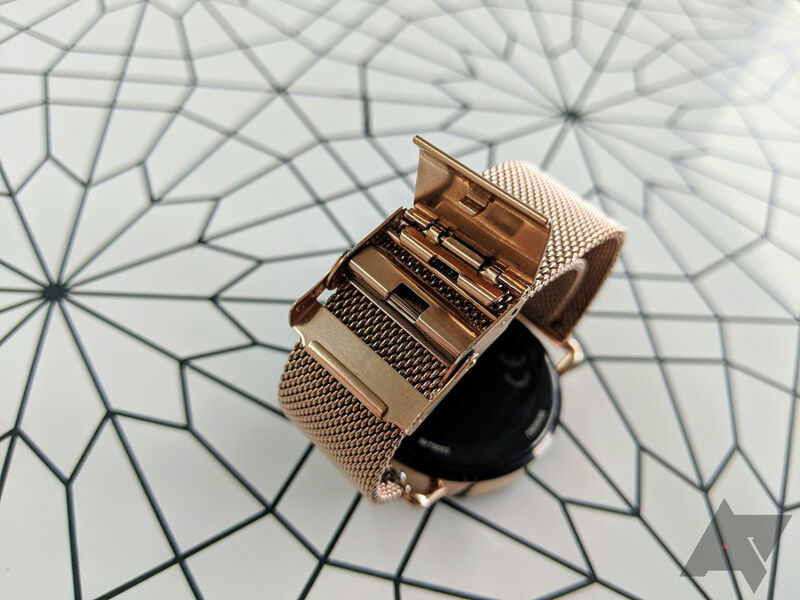 On my unit, the sides and wire-like lugs are rose gold and so is the mesh band. The lugs stick out at a downward angle, which helps with the fit around relatively thin wrists like mine. The only complaint I have is that the inner part of the glass also has a thin black bezel (about 2mm) around the display. 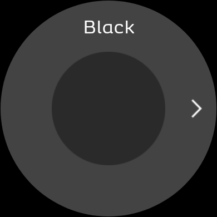 If you're using a black watch face, you won't notice it unless you look for it (see the image below on the left), but on colored or white faces, it's immediately visible and breaks the illusion. 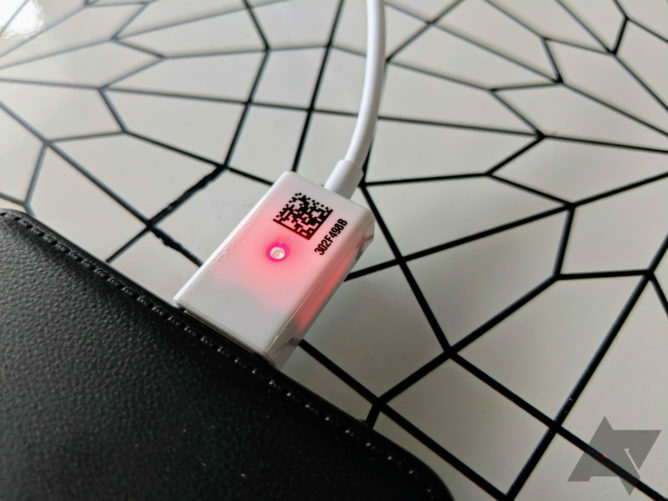 The display has a hidden ambient light sensor and thus can automatically adjust brightness depending on the current conditions. I can't find an official spec list for it, but it looks like an AMOLED to me: great vibrant colors indoors, and decent visibility outdoors. There's only one physical button on the side and it's at the 3 o'clock position. 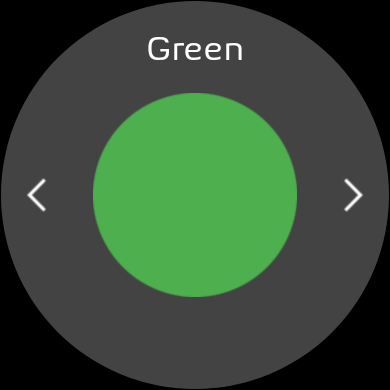 I was initially wary of activating it by mistake while bending my wrists or typing, but I haven't had any false positives, even when exercising at the gym and lifting some weights. 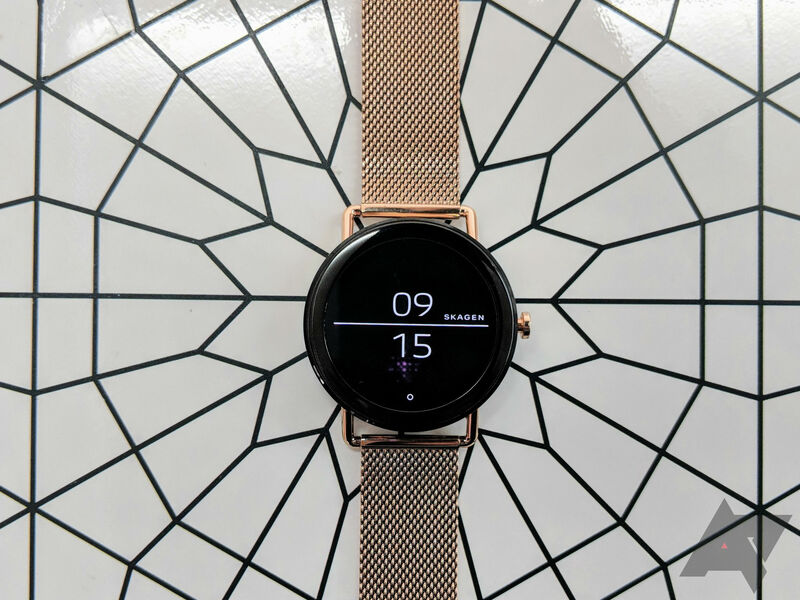 I would have preferred if the dial rotated or there was a touch-sensitive bezel to avoid fingerprint marks and grease on the display as much as possible, but that's sadly not the case. Overall, the Falster has a very slick design that doesn't scream "smartwatch" and would look great on both men and women's wrists. It has attracted some attention and compliments when people around me realize the screen lights up and it's a digital watch not an analog one. 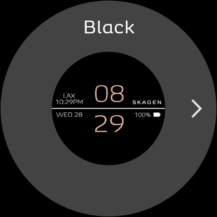 For two years, I had doubted I'd find a smartwatch that looks simpler than my Huawei Watch (first gen), but I think the Falster manages that. It's also a little smaller and thinner. Side by side: Huawei Watch (first gen) and Skagen Falster. 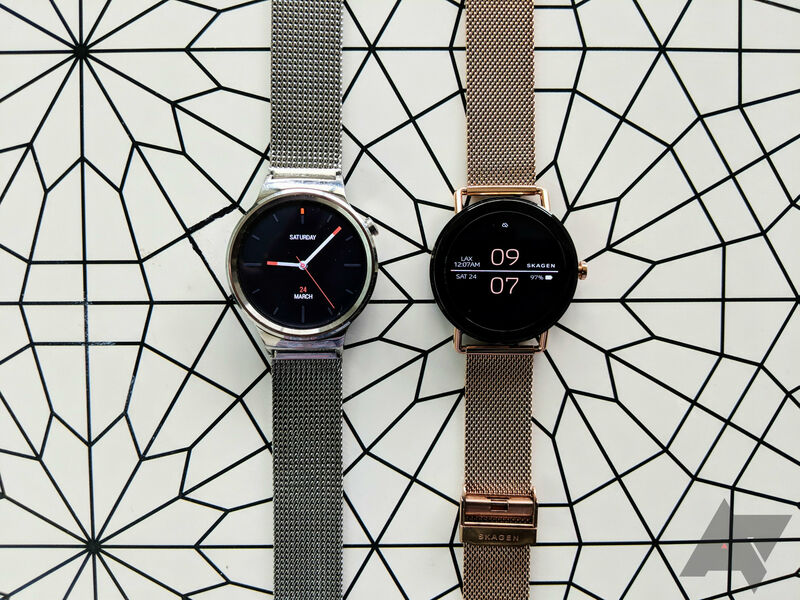 Some models of the Falster come with a leather strap, others with a steel mesh. I have the latter and it's comfortable to wear for a full day, but the buckle took a little getting used to. 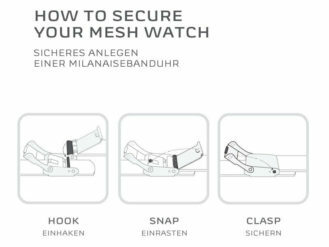 There are three steps to clasp it that aren't immediately obvious to someone who's used mostly leather and rubber bands. But after a few days, it became second nature to close it. However, you can't adjust the size on the fly. 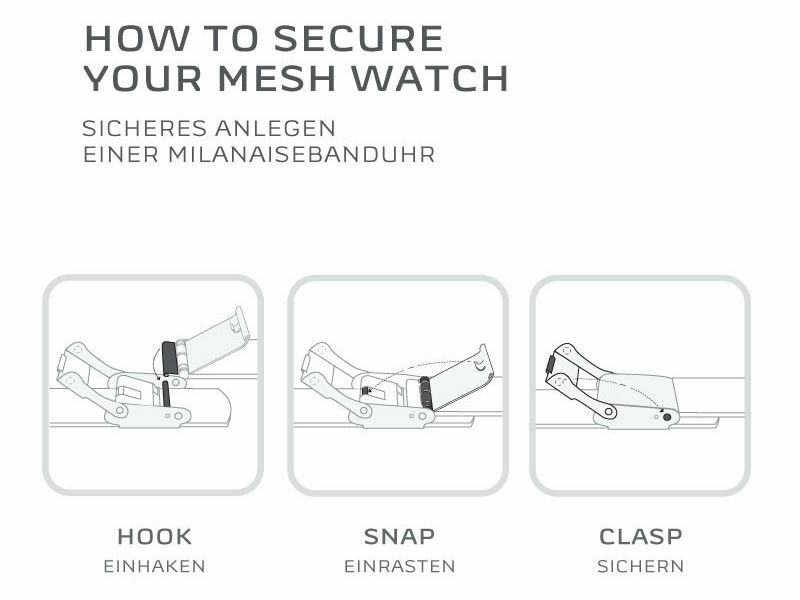 You need something like a tweezer to move the main part of the buckle up and down the mesh ridges. Thankfully, you only have to do that once and it's set. Another thing to keep in mind is that the mesh's coat is only on the surface; below it is regular steel. It took one unfortunate incident where I slipped on wet grass and landed wrists-first on grass, dirt, and gravel, for me to discover that the buckle doesn't look too pretty when scratched. 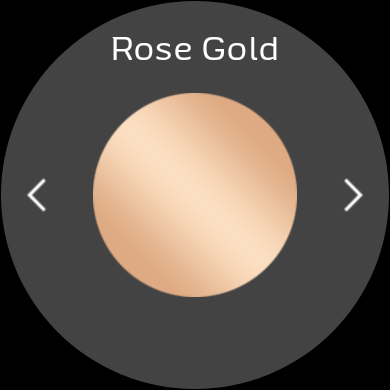 This one's definitely on me, but just beware that the pretty rose gold might not stay as pretty as the regular steel-colored version. 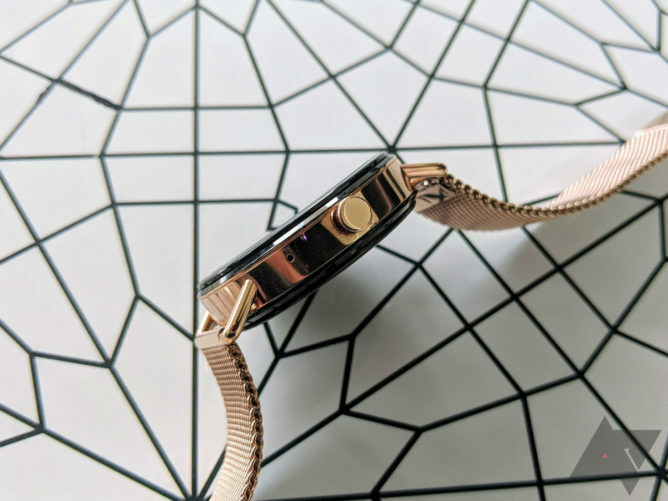 On the upside, the bands are easily removable with a spring quick-release mechanism, though you may have some trouble finding third-party replacement ones that look good on the rose gold version. 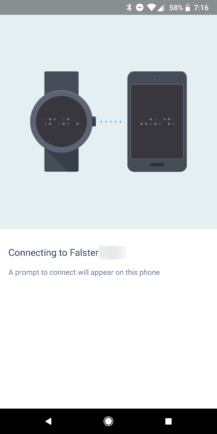 The Falster's charger doesn't use Qi charging, but it attaches magnetically to the back of the watch without any pins... thankfully. 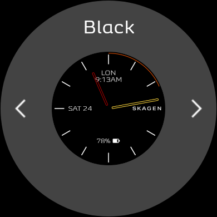 Pin alignment had become the most annoying part of my Huawei Watch experience lately, so I'm glad I don't have to mess with that on the Falster. The charging cable feels a little cheap and has a red light that tells you when the watch is actually charging (both good as an indicator, and bad as it gets annoying at night in a dark room), but it does the job and has been reliable for the few weeks that I've tested it. That red LED light is a good indicator, but I wish it was less visible in a dark room. As a quirky sidenote, the Falster has a cute animation when you put it on the charger. It always brings a smile to my face. Like any Wear OS / Android Wear watch, setting up the Falster means turning it on, following the step-by-step guide, getting a notification to pair it with your phone, and continuing from there. It's straightforward and by the time you're done, your accounts should be synced to the watch. 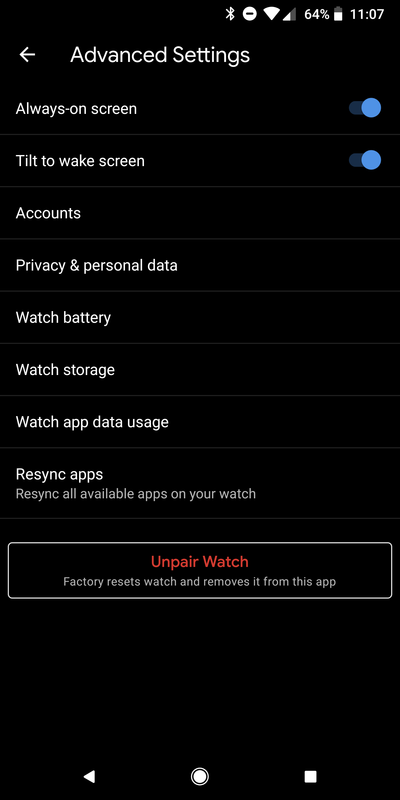 It's still disheartening to see that your previous Wear apps and preferences don't carry over from other watches though. This is all Google's fault, but it's worth pointing out because it's part of the Falster experience. 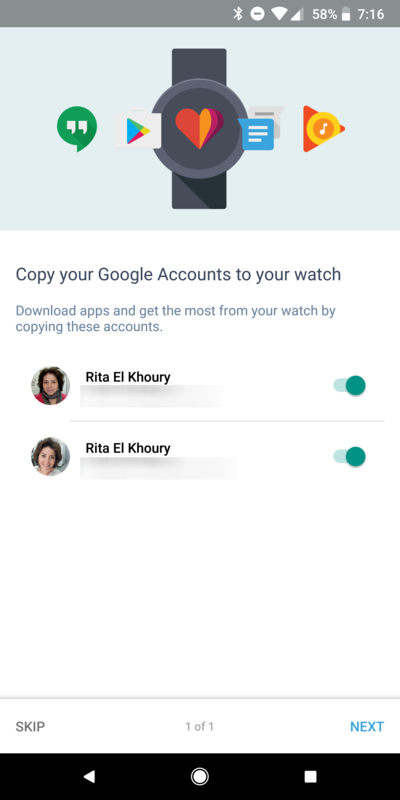 You need to go into the Play Store on your teeny watch or open it on your computer, look for your favorite watch faces and apps, then install them and set them up again. 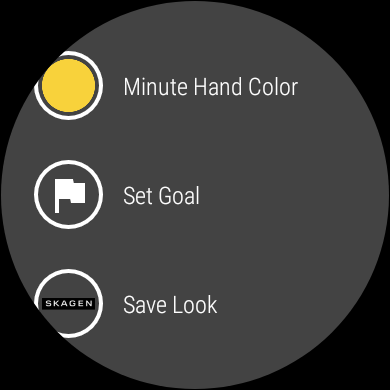 Also every time you set a new watch, you'll have to finish the tutorial of gestures: I know what they are, why can't I skip? 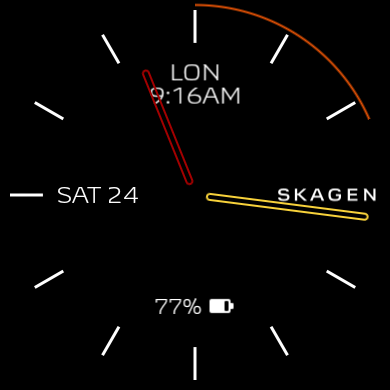 On the software side, the big misstep of the Falster is with its pre-loaded watch faces. There is a total of, count them with me, six watch faces available and, save for the digital one that you see on most of my photos, they all look terrible. Like something designed by an engineer on Pujie Black two years ago, before Pujie became awesome. 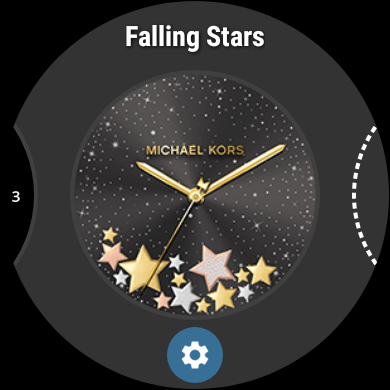 For a smartwatch that's supposed to be geared at the fashion-conscious people, this is a thousand steps in the wrong direction. 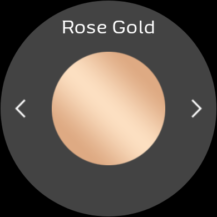 I rushed to download several third-party watch faces from the Play Store, but to be honest none of them really strikes me as a good fit for the Falster, especially in its elegant rose gold chassis. 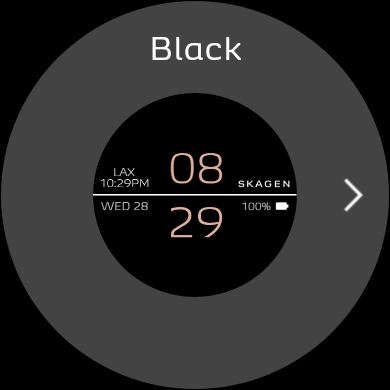 I've eventually settled on the built-in Digital watch face, plus Roto 360, Skinny Love, and Sleek from ustwo's Looks collection. You can see them at the bottom of the right screenshot below. They're the best I could find, but still not good enough. 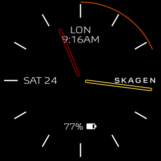 My real heartbreak came when I noticed that the Falster has plenty of other watch faces pre-loaded (it's using the same firmware as other Fossil watches), but they're disabled and even when enabled, they don't work and show a still logo instead when chosen. 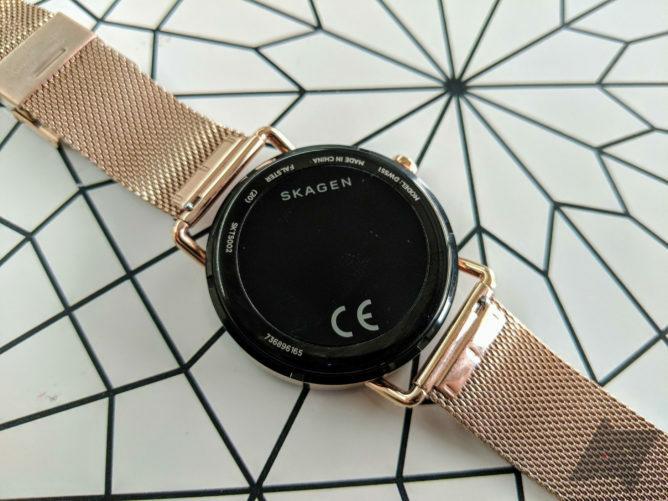 So not only did Skagen load a measly 6 faces on the Falster, it had to dangle the prospect of something so much better and deny it at the last step. So close, yet so far away. 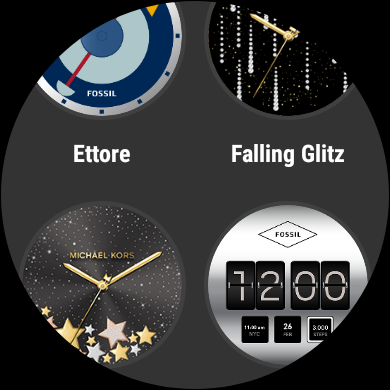 Every time I think of how many awesome watchfaces are already on the Falster but that I can't use, I'm livid. 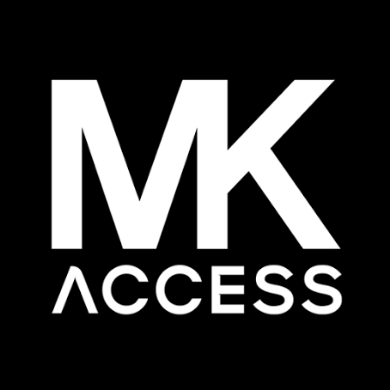 Installed but disabled. You'd think they work when enabled... until you get the still logo instead. Back to the pre-loaded faces, "all" six can be personalized with colors and Wear Complications, but the available colors are limited. Whether for the background, dials, or accent, you only have 9 colors: white, black, light pink, grey, greyish-blue, dark blue, orange, red, and yellow. Once you settle on a combination, you can save the look and access those "Saved Faces" from a separate app on the watch. 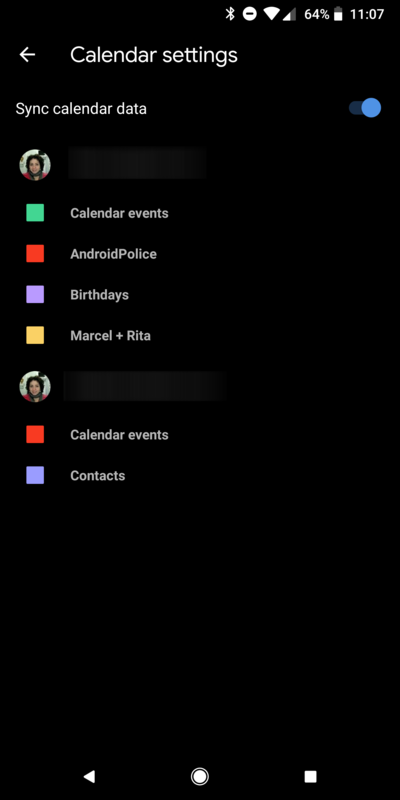 It's a handy way to have several configurations of the same face saved and ready without messing with their settings. 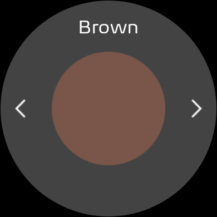 The looks are categorized by color, but as if to taunt you even further, the app has categories for colors that aren't even available for the Falster's faces, like silver, gold, rose gold, green, brown, pink, and purple. 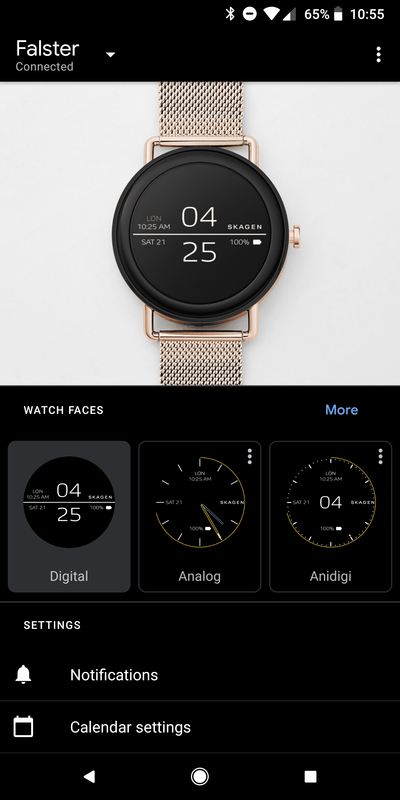 It's a reminder that there are faces you can't access on your watch and this "Saved Faces" app was probably meant as a catch-all for all of Fossil's brands and watches, not just the Falster. You can't ever have faces in these colors, so why are they even an option? 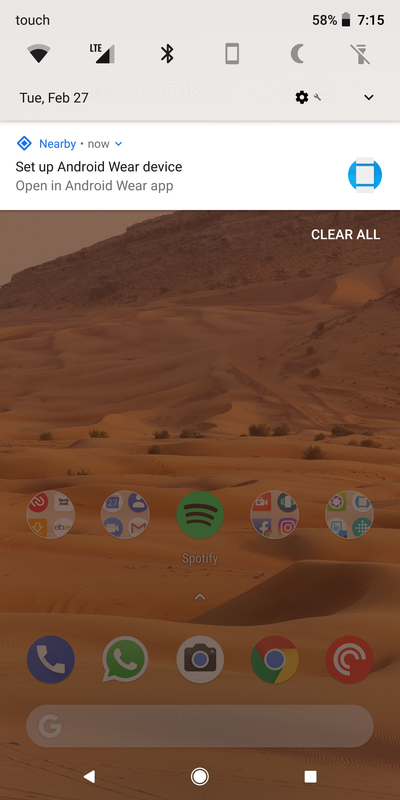 The Falster runs Android Oreo 8.0 out of the box, not that it matters a lot nowadays. 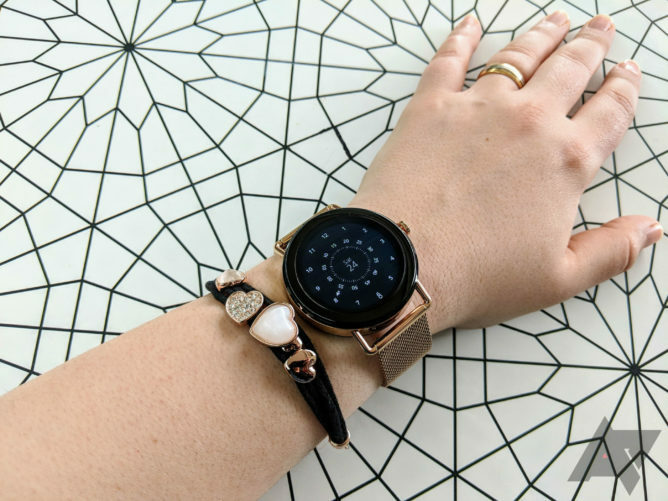 Updates for the Wear platform have been mostly linked with the Wear app on your phone so the small changes have been rolling out through that and not relying on the manufacturer updating the entire firmware each time. 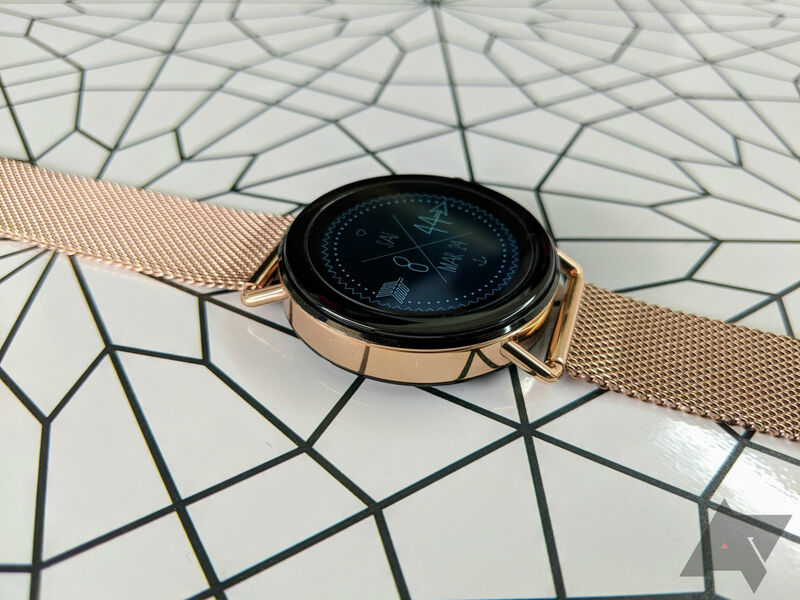 The switch from Android Wear to Wear OS that happened recently didn't change a lot: the companion Android app looks a little different, but the options are all still the same. 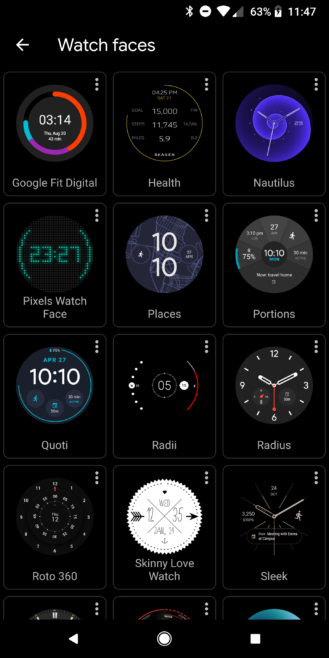 Overall, if you've used any Android Wear smartwatch over the past couple of years, things should pretty much be the same, be it on the watch or on the phone. You get notifications, you can reply to some of them or apply a few actions if the developer enabled that, and you can install apps directly on the watch. Wear OS is more or less the same it has been since Android Wear 2.0 rolled out. 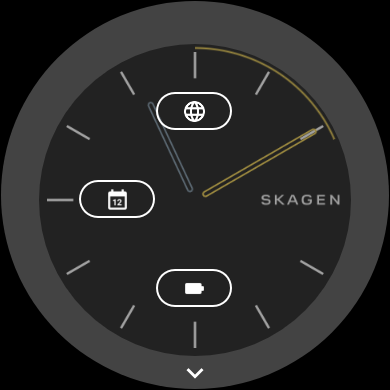 Coming from a Huawei Watch on Android Wear 2.0, the Skagen Falster is a huge leap forward in performance. The interface is buttery smooth: swiping up, scrolling, tapping, everything is done quickly with no lag or stutter, and the animations don't hiccup as much. 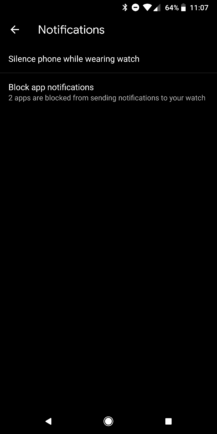 With a few weeks of usage behind me, I can say I didn't encounter a single time where the app or watch stopped responding or where something failed. Maybe things will change as I use the Falster more and more, but it's still a big improvement over the early days of Android Wear. Skagen isn't forthcoming on the Falster's battery size, but I've seen several sites online mentioning it as 300mAh and I think that's accurate. My Huawei Watch, which has been used and charged daily for two years, can outlast it. I can barely get a full work day (12 hours) out of the Falster with always-on screen and tilt-to-wake enabled, plus WiFi set to automatic. 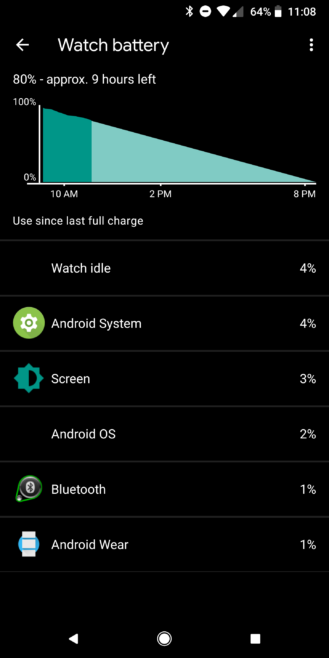 I'd disable all three to get a couple more hours of usage out of it, but that completely negates most of the usefulness of a smartwatch in the first place. As things stand, I can't count on the Falster to reliably get me through a super late dinner or event without the battery dying at some point. And if you're wondering whether I'm overusing it, the answer is no, not really. 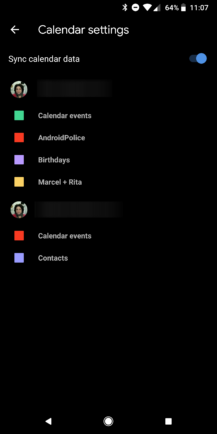 I have 2 email accounts syncing, and notifications from WhatsApp and my calendars, plus music controls. 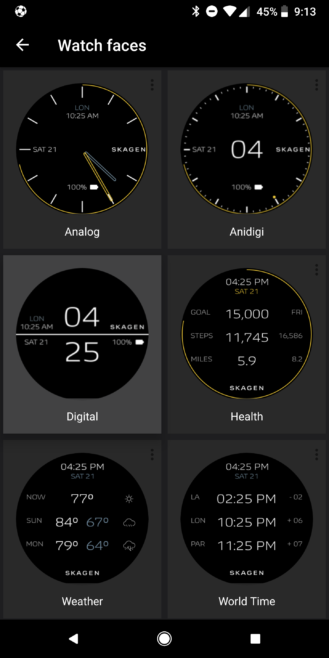 I don't actively do a lot on my watch, but I rely on it heavily to passively get information, especially when I'm at work or home and leave my phone idly sitting away from me. It's tough to review the Falster with objectivity in mind. As "Android Police," we're mostly interested in the tech, and the tech is exactly where the Falster falls flat. 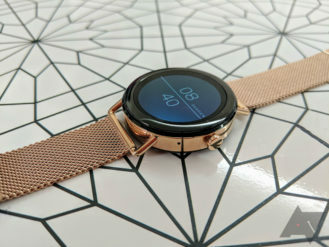 It doesn't have NFC for mobile payments (I don't care about this in Lebanon, but for a watch aimed at the US market, I'd be remiss not to point this out), it doesn't have a heart rate monitor or GPS, it doesn't have a rotating dial or bezel nor does it support Qi charging, and the battery life is pretty abysmal. 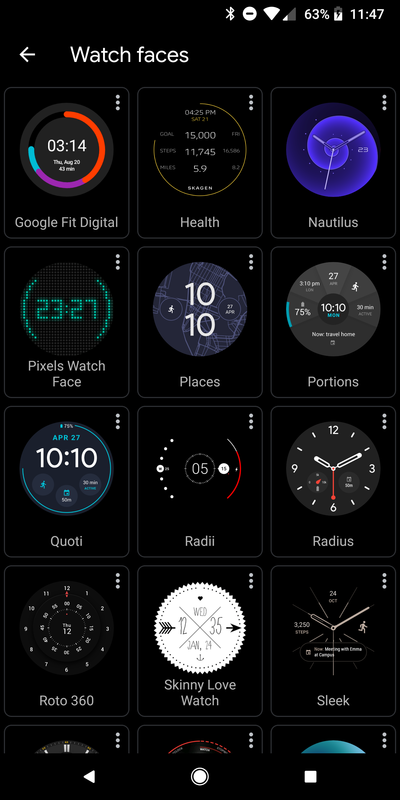 On paper, 99% of those who read Android Police and are interested in smartwatches have already dismissed it. 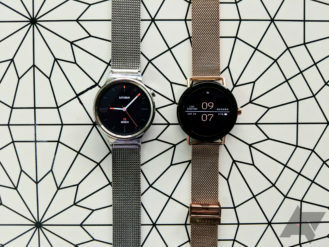 Plus, for all the small improvements in Wear OS, it's still the same and if you never had a use for it before then you definitely don't now. But the Falster is not made for those who want any of these features. Like every relatively fancy analog watch I've seen, it feels like a personal jewelry item and fashion symbol first then a watch second. The smartwatch part comes even after that. When I don my tech-oriented mindset hat, I don't get the appeal. But when I look at my wrist and smile because I really like the way it looks and remember that it's quite more useful than a regular watch to me, I get it. 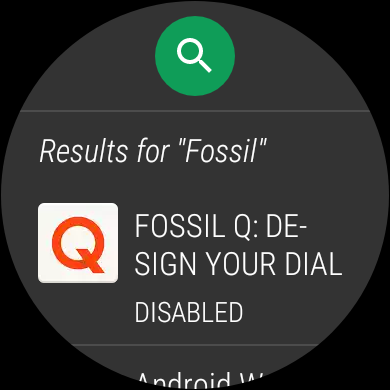 And I get Fossil's dominance over the Wear OS market. 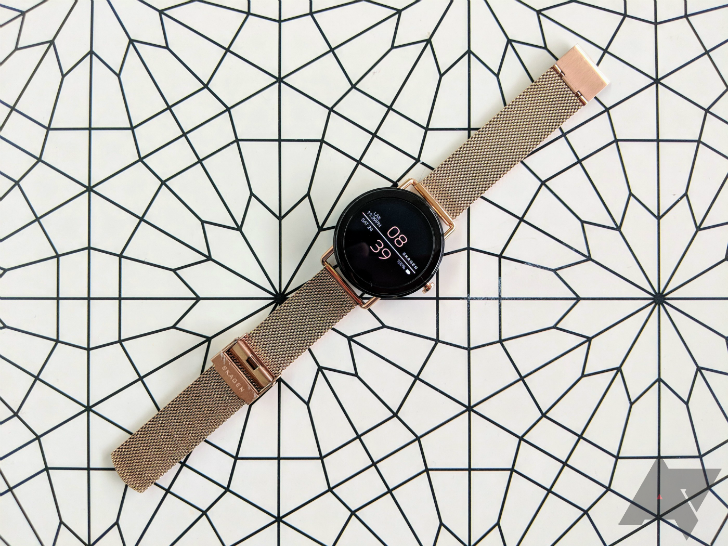 This is a really nice watch, and it happens to be a smart one. I don't know if it's worth the asking price though.